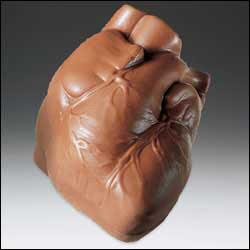 Becoming an organ donor has never been simpler with our edible selection of sinfully molded chocolate body parts. 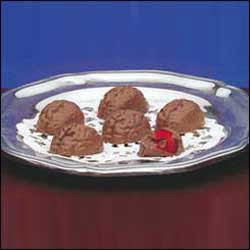 For centuries chocolate has been given to capture the essence of love. What better way to express your love by giving your sweetheart a chocolate heart in a life like replication of the organ, symbolically holding them near and dear to your heart. 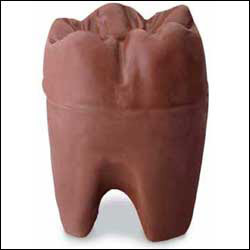 Nibble on an ear or munch on some toes, one’s perception of death by chocolate can take on many forms of the chocolate lovers’ fetish for chocolate pleasures. Death-focused website bluelips.com gives new meaning to having chocolate on your mind. 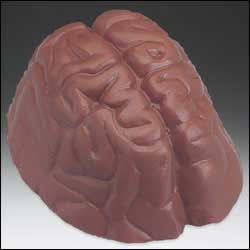 For $18, you can buy a dozen anatomically correct milk chocolate brains with cherry centers. I haven’t seen the candy in person, but it looks disgustingly delicious online. If eating a chocolate brain makes you crave more sweet gore, hearts, teeth, eyes, feet, and ears are also for sale. Several varieties of brain are sold on bluelips.com, and a chocolate casket is discontinued while a new design is in the works. A set of parts (ears, a skull, a tooth, a heart, and plenty of brains) goes for $75, considerably less than such real parts might fetch on the black market. The chocolate hearts are crafted with great detail, and the reasonably affordable $28 heart and brain set might end up in my best friend’s stocking this Christmas. She’s a nurse, but I bet a lot of non-healthcare workers would appreciate the organs too.